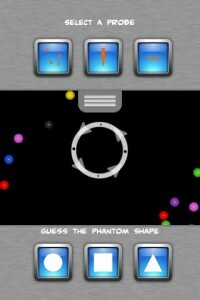 Phantom Probes iPhone Game Review. If it’s a challenge you wanted, then it’s challenge you’ll get. 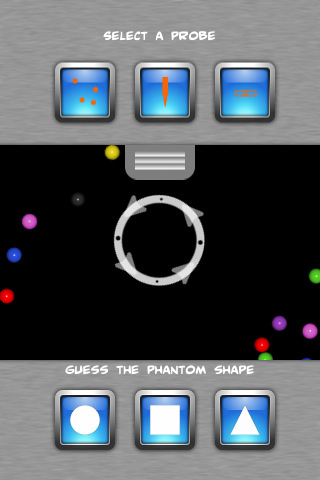 How about taking on a physics-based game where you have to guess the shape of a hidden object by the way other objects interact with it? Sound interesting enough? Well, Phantom Probes is just what you want! 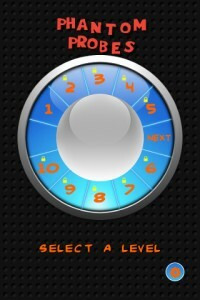 Once you start the game, you will have to select one of three available probes from the top of the screen. 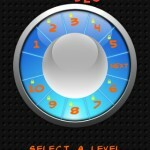 Once you’ve done so, the probe will approach your hidden object, so far represented by a circle. 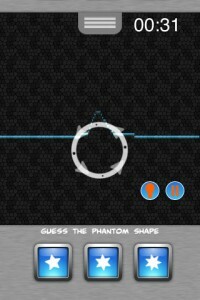 Once it hits the object, you can rotate the circle in order to better understand what shape you’re dealing with. New probes will continue to hit your object, but you can also change the probe itself by making your selection from the top of the screen. Once you’re sure you’ve guessed the shape of the hidden object, just select it from the three possible answers at the bottom of the screen. It sounds simple, but it’s not. I may not be Einstein, but I consider myself fairly intelligent. This game stood to prove me wrong though. A lot of the time I found myself guessing what the shape is, because none of the probes really made much sense in the way they interacted with my object. Not to mention that some of the probes (like the bullet shaped ones) just go straight through your object, so they’re pretty much useless. You have rain drops as well, and these just splash all over the place - again, useless. Some of the probes are really useful though, like the chain that will pretty much take the shape of the object and give you a pretty good insight into what you’re looking for. The three probes weren’t enough for me most of the times and I had to rely on some sort of combination between deducing a shape and outright guessing it. Out of the available 50 levels I got through about 7 before I gave up. I can’t say whether I was tormented because I couldn’t finish the next level because I felt I was incapable or because some of the game mechanics didn’t make sense. I leave that up to you to decide. Personally, I would try the free version before purchasing the full version, which is priced at $0.99. 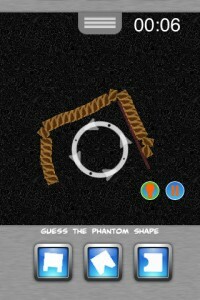 What do you think of Phantom Probes ? Scroll down for our comment section and let us know!